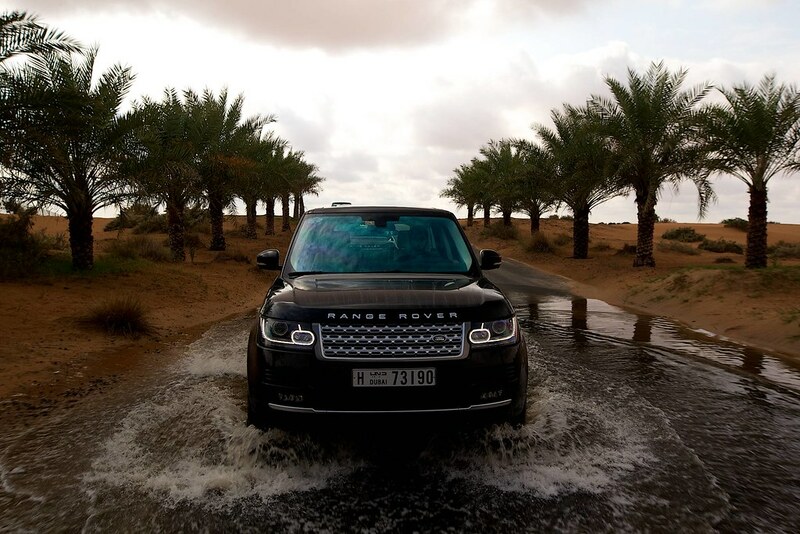 Nothing comes close to the statesmanship and presence of the Range Rover. The last of the 3rd Generation Range Rover floored us with its surreal and luxury car feel on the road and we understood why the Middle East has a long standing love affair with this marque. 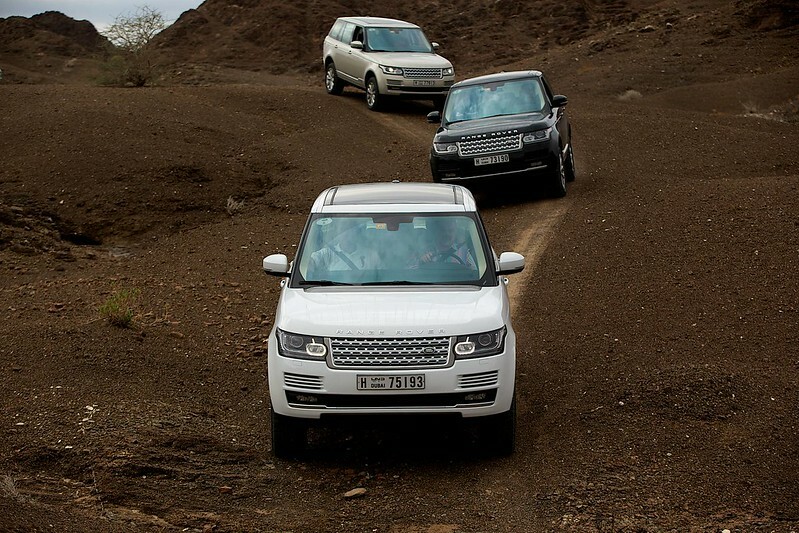 The new 2013 Ranger Rover Vogue Supercharged picks up from its predecessor. It’s bolder, lighter and more frugal in its diet. Will it still retain its “King of all SUV” title? Yes, oh yes!! It still reigns supreme amongst other title contenders such as Mercedes Benz’s iconic G63 AMG, Porsche’s Cayenne Turbo and BMW’s sport car humiliator in the form of the X5M. 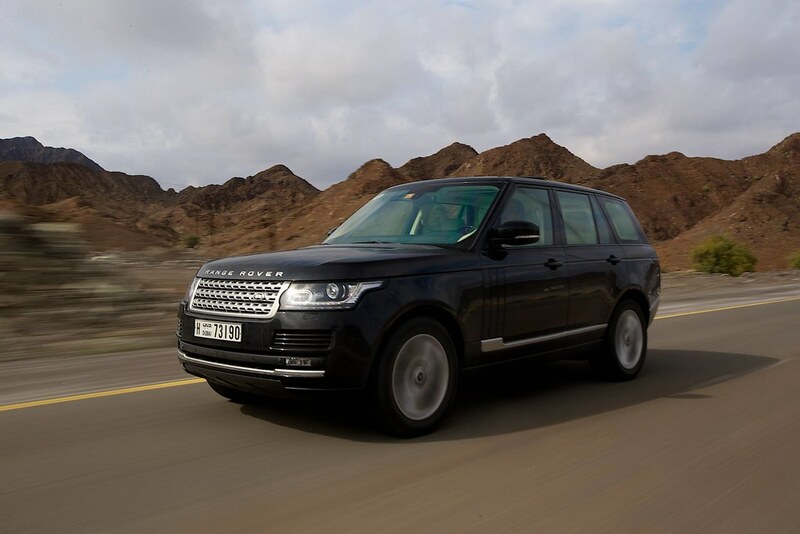 These tour de force SUV’s boast power heading north of 500HP’s and while some of these are more inclined for road the Range Rover would go beyond the end of the world without breaking a sweat and most importantly without ruffling the feather of its occupants. It comes as no surprise that we have already marked our conclusion at the beginning of our review. 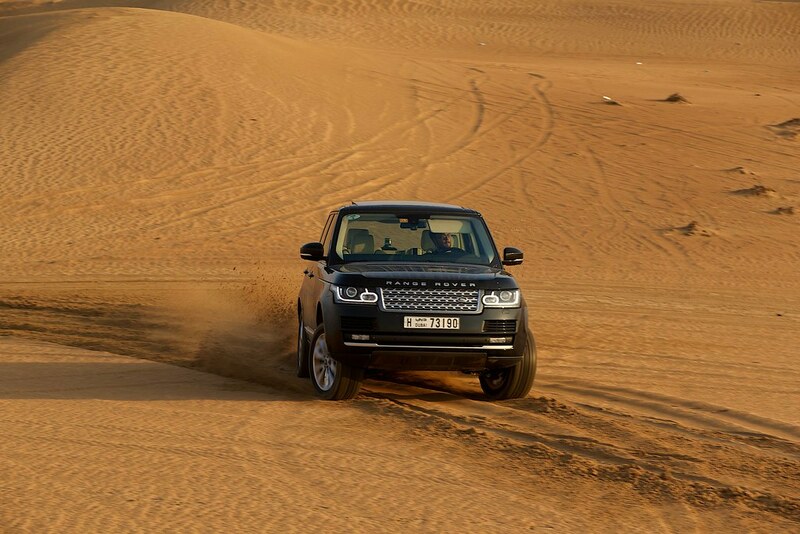 We did not want our readers to wait in anticipation while we build our story, rather we would talk about why the 2013 Range Rover Vogue Supercharged takes center stage as a perfect all around vehicle. The 2013 models have been engineered to be lighter. The body is an all aluminum monocoque shaving almost 39% from previous years all steel body. If the 2013 models are compared to similar models of a 2012 then there is as much as 420kgs of weight savings. 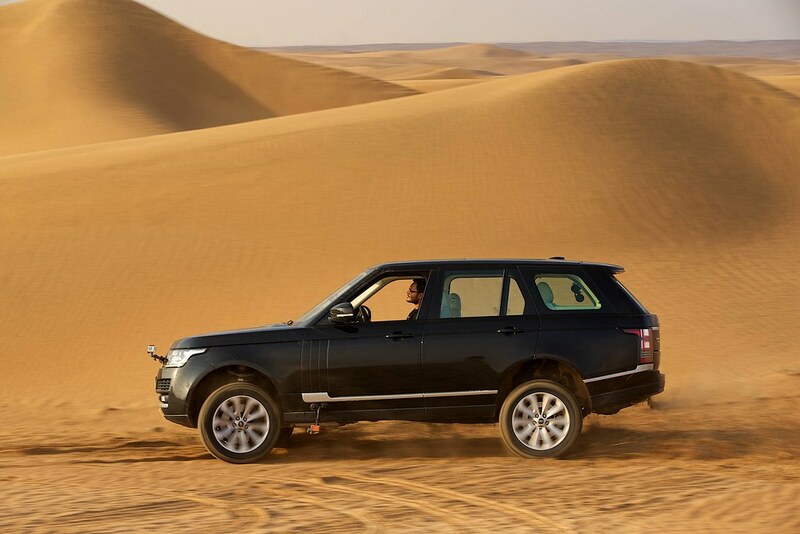 This is by all means a tremendous feat of engineering prowess and points to an evolving mindset from the people at Range Rover. The new Range Rover cuts easier though air as it’s more aerodynamic than its predecessors and shares a sloping rear roof line thanks to the design elements of the smaller Range Rover Evoque. 0 – 100kmph sprint has been shaved considerably by 0.8secs to 5.4secs for the Supercharged version. Yes this SUV can out drag many hot hatches out there should you feel the need to be lead footed. The interior has been revised and is minimalist in approach, quite reminiscent of the interior of the Evoque. The gear shifter has been replaced by the rotary knob which is featured in the rest of the model lineups. But it’s the sheer attention and craftsmanship in details that is overwhelming. One has to sit in the SUV to appreciate and feel the majesty of it all. The window panes are laminated and dual isolation engine mounts takes care of the noise and leaves the occupants in a calm and serene environment. The commanding seating position is retained and rear leg room has increased by 118mm. What is more appreciated is the fact that the interior and its layout reminds us of the previous generation, and we felt completely at home the instant we sat in the SUV. 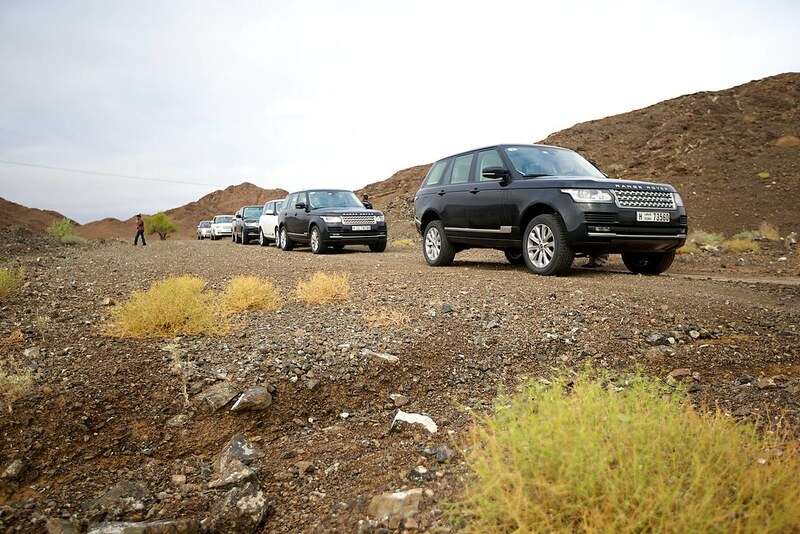 Our first hands on feel of the 2013 Range Rover Vogue Supercharged came thorough Range Rover Middle East’s initiative and they entrusted us taking this luxo ute over the wadi’s and desert. 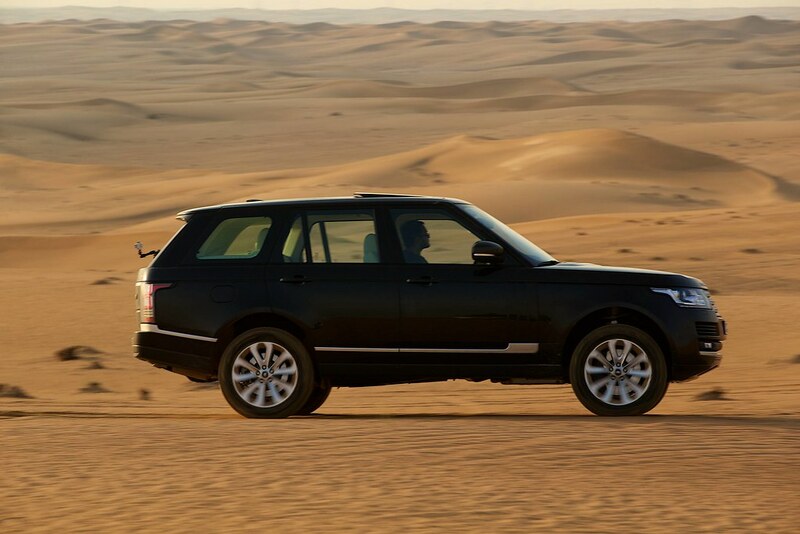 A place where the Range Rover truly excels but sadly very few owners venture into. And as an added bonus there was heavy rain to make matter a bit shall we say tricky. We changed the setting of the terrain response system to rock/gravel and ventured of to hill descent. 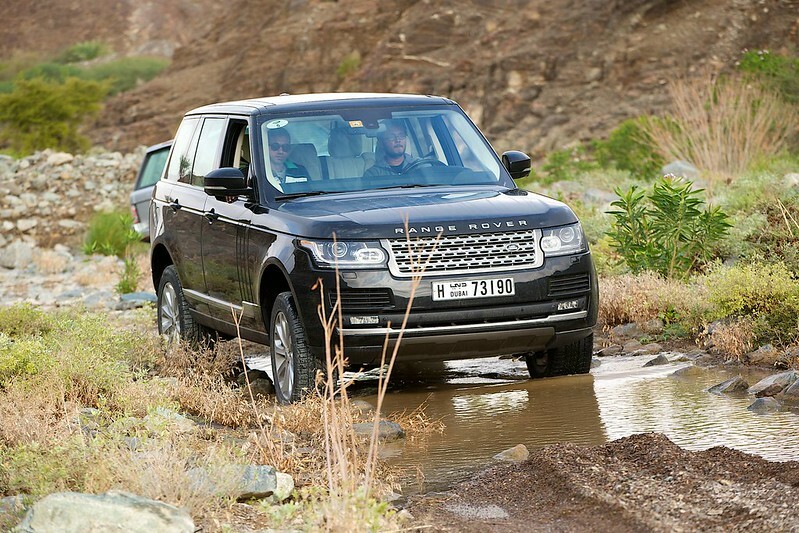 The hill decent feature and the sure footedness of the Range Rover through wet pebbles was an effortless event. Effortless in feel as we hardly felt anything. The smoothness and effort free wading across water bays, guiding the suv past rocks thanks to cameras on either sides of the car covering all the blind spots was childs play. 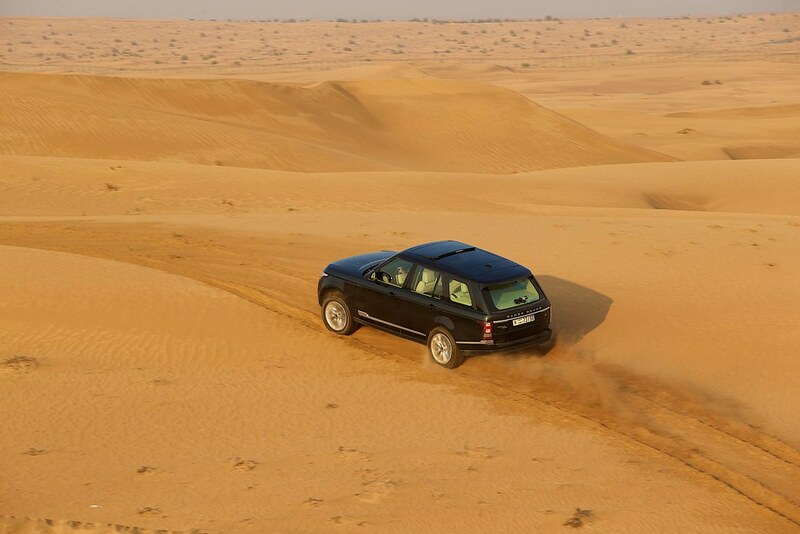 This SUV is truly the king of off roading. The sand dunes were attacked in a similar manner but with more gusto. The terrain response system was switched to sand mode and that was it, we had raised the suspension as well. The electronics takes care of it all. There were no dunes which felt intimidating and no falls that we backed out off. It was play time all the time. 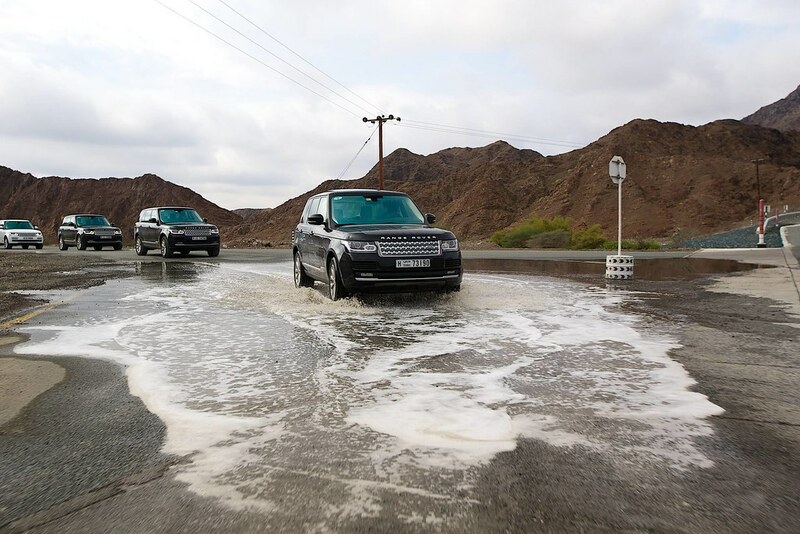 This would conclude our immense appreciation of the capabilities of the Range Rover Vogue Supercharged and are waiting for a more comprehensive test around the city and the highways of Dubai. But if initial impressions can be relied on to clinch the deal breaker, then this SUV has already come clean.